RIP Bobby Heenan - WrestleCrap - The Very Worst of Pro Wrestling! Once I can get my bearings about me later this week, I will write something. Right now, can’t even see straight because I am in tears. My hero, the man who made me a fan of pro wrestling, is gone. RIP, Bobby. You were the best. 32 Responses to "RIP Bobby Heenan"
RIP Bobby the Brain. Too many great memories to name a favorite. I remember watching his brilliant call of the Gimmick Battle Royal at Mania XVII and thinking how can this guy not be on TV every week. Very sad, there will never be a greater manager than The Brain. Rest in peace, Bobby. Thank you for all the memories. You will be missed. His accomplishments in wrestling of course are well-known. He also showed remarkable spirit through years of health problems. The same thing happened to him as to Roger Ebert: cancer left him disfigured, unable to control his jaw and speak clearly. But just like Ebert, he carried on and bravely faced the cameras. What remarkable men; real leaders. Possibly the last video he shot shows him at a convention, still being a wise guy! And check out the 00:30 mark from this 2014 convention, where he gives Scott Hall a low blow with his cane! RIP to the irreplaceable Brain/Weasel! Rest well Brain. 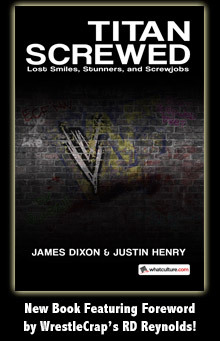 The humanoids weep for your loss and laugh at all the memories you gifted us with. You were the best, Mister Heenan. Thanks for everything. I can already hear Gorilla saying “Will you stop that Brain!”. Partners reunited, but definitely a sad day in wrestling. My fave entertainer as a child, in any medium. I loved him. I’ll never forget him. Heaven finally can have Bobby working off of Monsoon on commentary or managing Curt Hennig. 1) Gorilla Monsoon : Please, don’t try this at home. These are trained professionals. Bobby Heenan: Unless your wife weighs over 200 pounds! Gorilla Monsoon: Will you stop?! 2) Bobby Heenan: Did you hear Brutus Beefcake got into a hockey accident? Bobby Heenan: Didn’t you hear? He had a face-off!!! They don’t make ’em like that anymore. Rest in Peace, Brain. As good as he was as a manager and announcer, I’ve read he was an even better person. RIP. 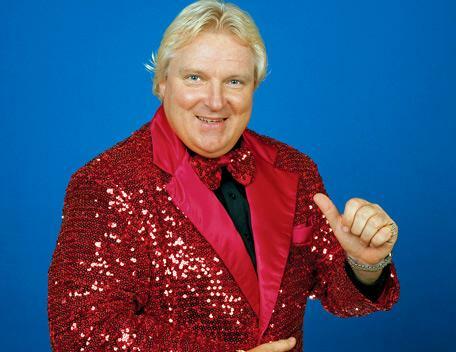 Rest in peace Bobby “The Brain” Heenan. If Heaven exists I’m sure you’re glad to be announcing with Gorilla Monsoon as the two of you watch some other legends who passed away perform in the ring located in the great cloud in the sky. No matter what duo or trio does announcing of any match on any wrestling show whether it be regular, cable or pay-per-view, nobody and I mean NOBODY can replace Gorilla Monsoon and Bobby “The Brain” Heenan. Why? Because they were magic. I always knew that when Heenan passed, RD was going to be inconsolable. I’m with you, man. Ric Flair and Dusty made me a wrestling fan, but Heenan did more than anyone to keep me a wrestling fan. Spluttering with laughter at (2! I’d not heard that one before. A sad loss – The Brain was one of favourites as kid. He said that during an episode of Prime Time Wrestling with the Stamford studio audience. HEENAN: When Hogan walked by I showed one finger! HEENAN: That’s my second favorite song of all time! MONSOON: I’m afraid to ask…what’s the first? HEENAN: All the rest are tied! Just be glad he’s no longer suffering from the horrors of throat cancer and that he and Monsoon are calling the greatest matches up at the pearly gates now. Well said, RD. Monday nights growing up were golden because of Bobby and Gorilla. This is a huge loss, right up there with Piper or Savage. He was so funny, so sharp. I’ve stolen a lot of mannerisms over the years from Bobby. His book is great. His Family was great. He’s with Gorilla now and that makes me happy. I had the chance to see him as he started out in Indianapolis, with the Assassins, the Blackjacks, and Baron Von Raschke. I feel a part of myself has gone along with him. My fave moment of all time: Heenan in 1991 with the NWA belt announcing the “Real World’s Champion” Ric Flair’s pending arrival to the WWF. All time shocker, delivered perfectly. So sad. R.I.P. Bobby the Brain. So many memories from my childhood. Between managing, the weasel costume, and as an announcer, you will be sorely missed. Don’t need to put your name at the end as it says your name at the top. Some of my favorite Bobby Heenan quotes. Heenan: Do you perform these umm (funeral) services? I don’t think I could write anymore as I’m starting to tear up myself. RD you’re not alone, Bobby could bring out any emotion he wanted out of us. He’d make us so angry yet make us laugh ourselves silly at the same time. One other thing about him was that he wasn’t afraid to take bumps or wasn’t above humiliating himself just to entertain all of us ham and eggers. Wrestling’s never gonna be the same again especially now that we lost the single greatest manager that ever graced us with his presence. The only solace I think any of us can take from all of this is that now he’s up there hopefully in heaven and finally able to host Prime Time Wrestling once again along with Gorilla Monsoon and Rowdy Roddy Piper. RIP Bobby The Brain Heenan. Us humanoids are forever in your debt for all the memories you’ve given us. Godspeed. Now if you’ll excuse me I’m going to cry me one then watch some Royal Rumble 92 and Survivor Series 93 back to back and laugh my tears away. He was the best. Will we ever witness anyone being half as good as the Brain? I doubt it. Among wrestlers, Andre the Giant. Among managers, Bobby “The Brain” Heenan. “A pat on the back is only 12 inches away from a kick in the rear”.